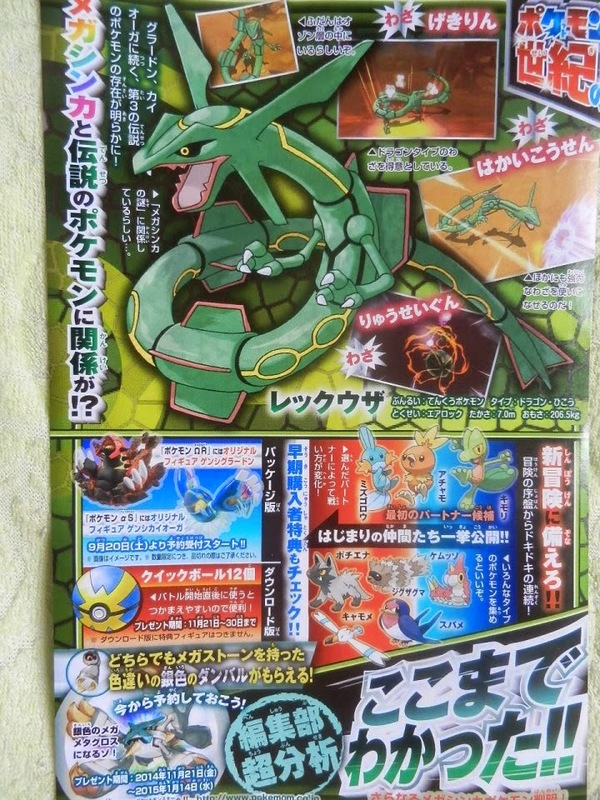 CoroCoro magazine for September 2014 was recently leaked to the public with Pokemon Omega Ruby and Alpha Sapphire news featuring three new megas. 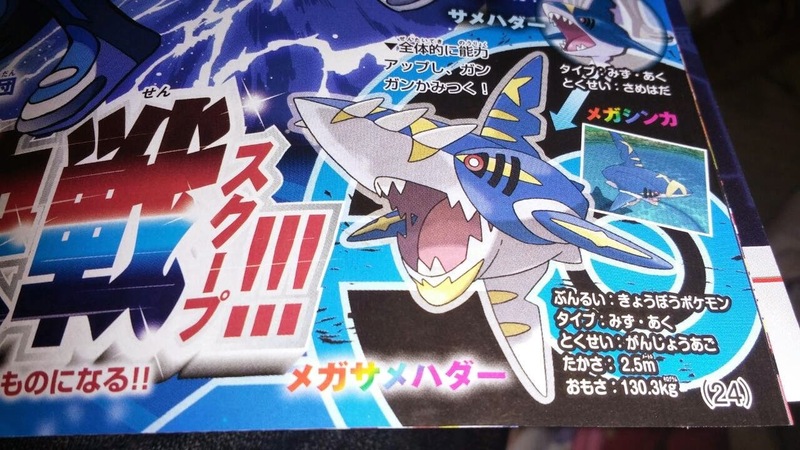 The new mega Pokemon are Gallade, who is Wally's signature Pokemon this time around, Camerupt, Team Magma's signature Pokemon, and Sharpedo, Team Aqua's signature Pokemon. 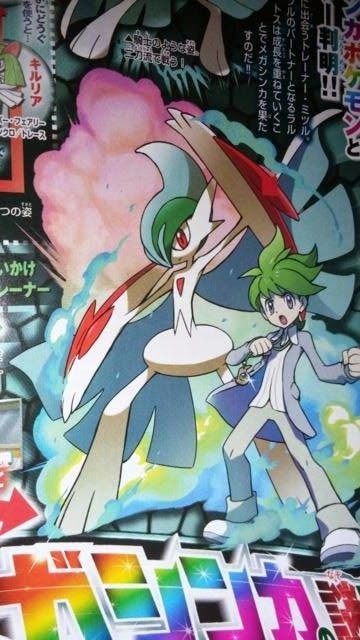 This is the first time we've seen of Wally in the new games, but other than that, these mega Pokemon were predictable and everyone expected Camerupt and Sharpedo, but Gallade was a nice surprise. Sharpedo has all it's stats increased (about +20 in every stat) and Camerupt has an increase in all it's stats as well but at the cost of some speed. Mega Sharpedo has the ability Strong Jaw and Mega Camerupt has the ability Sheer Force. 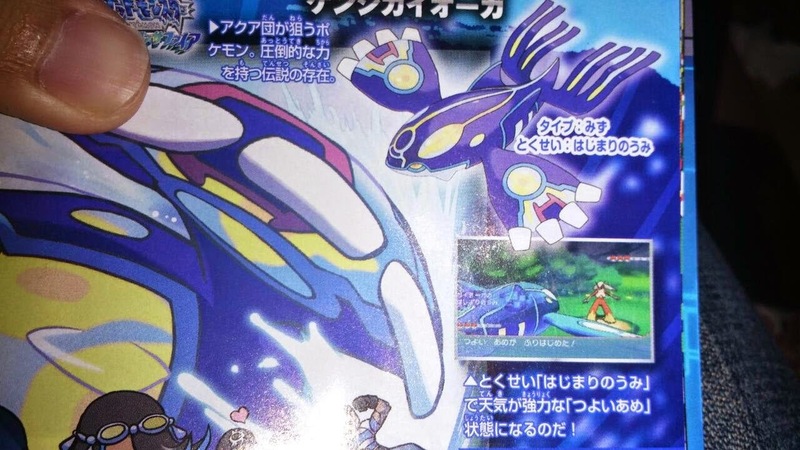 We also got our look at the new move and ability Mega Groudon and Mega Kyogre have. 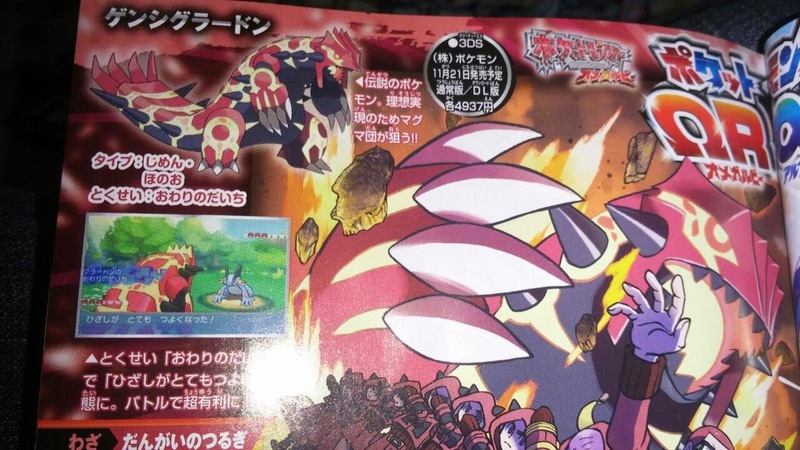 Mega Groudon has a new ability called Land of Endings, which activates Strong Sunlight, and Mega Kyorge has the ability called Sea of Beginnings, which activates Strong Rain. 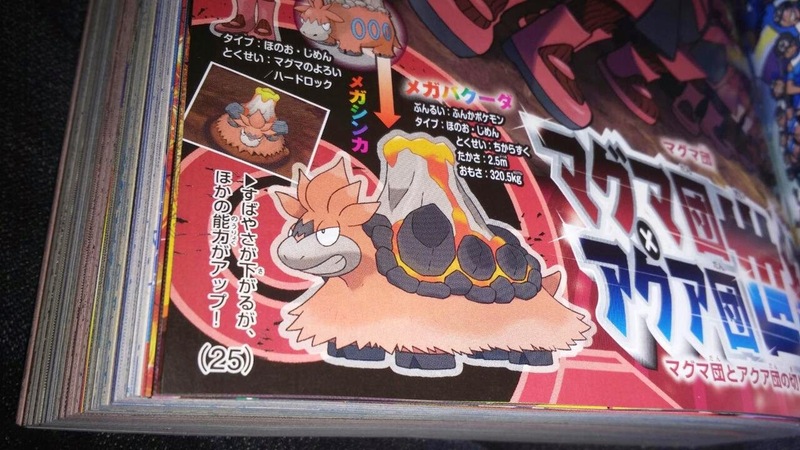 While Mega Groudon's new move is Cliff's Blade, Mega Kyorge's new move is not transcribable at the moment. We can speculate the demo might be coming to North America though, because the Pokemon Company would not let us out on a thing as big as a demo, especially when accomplishing something as a worldwide release.